You Can Afford Our Digital Door Locks! 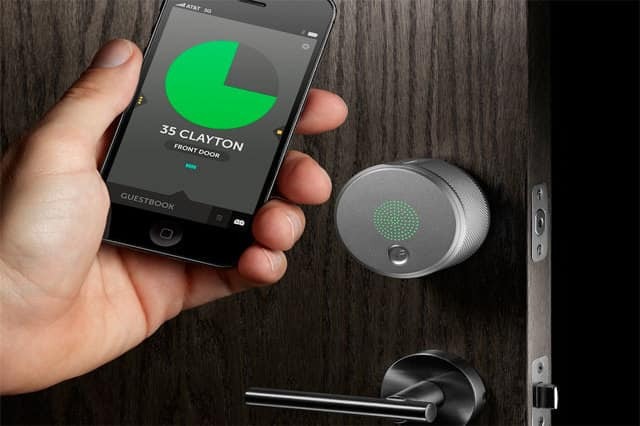 No longer do you have to be a millionaire to own a Digital Door Lock! With this easy to use Digital Lock it makes those weighty office keys for every door a thing of the past. No “oops I’ve locked myself out” anymore. There are numerous benefits to changing to Digital Door Locks, first and foremost being the added security. You will not be loosing any keys or devices to hinder your access or for somebody else to “find” and enter where they should not. Secondly, you have different options of aesthetically pleasing designs to brighten any door. Thirdly, the technology inside the Digital Door Lock is astounding. You can choose between different features of digital design. 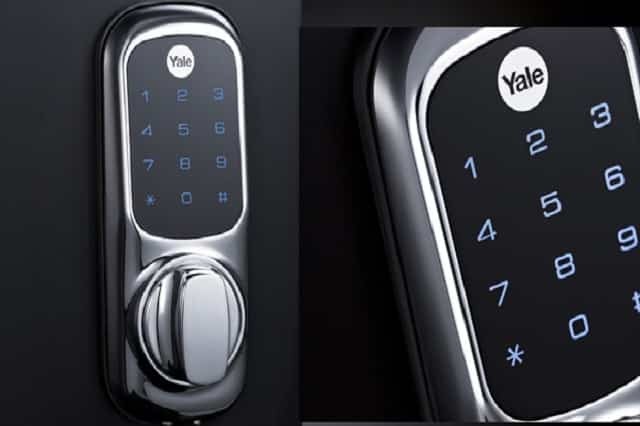 The most common feature of popular designs are locks with digital touchscreen keypads and a pin code for entry with security features to deter thieves from figuring out your passcode. Other features include Radio Frequency Identification (RFID) which employ the use of a key fob that you would be able to activate from your pocket—like magic! Bluetooth-enabled lock designs open the door when it senses the Bluetooth ID from your smartphone and TA-DA! You are in. There is usually also a backup system in case of loss of phone or device, which, even if you haven’t run out of battery or lost your phone, it’s still a nice little feature that gives you peace of mind knowing you can get into your home or office without hassle. Why make a bad day worse?! Let’s face it, apart from being highly secure for your business, Digital Door Locks are cool! Who would not want to be able to manage and customise their property access? Another ultra modern design is the Biometric lock which grants access only to the person or persons whose fingerprints are registered in the system. It recognises the person as acceptable and unlocks itself. We really are in the twenty-first century! If you are a smart-phone user that has a Biometric capacity unlocking mechanism then you will understand the ease of unlocking without moving your finger. Using this kind of Digital Lock really boosts your curb appeal and makes the idea of a “smart home” a not so distant dream. Some locks even connect to other smart devices and can be opened with the click of an app for your convenience. Some designs come with a combination of opening techniques for bonus security, for example it may require you to type in a passcode and then ask you to authenticate your finger print before allowing you to continue. Other Biometrics include retinal scanning, voice print ID or iris scanning. Many companies are satisfied with these choices of Digital Door Lock San Diego. Others tend to prefer a security token with their lock, something tangible to take with them, or a punch-in code. Either way, with this type of lock, if you don’t want that door opened, it will not be opened. Where better to go for a lock or a safe than to an experienced Locksmith? As one of the largest Locksmiths in San Diego, CA, we have many experts dedicated to helping you solve all your company’s security needs. Apart from our extensive and cost-effective range of Digital Locks, we also have plenty of Digital Lock Boxes to choose from. These come in all different shapes and sizes, ranging from small money boxes to larger “safe” type boxes. Programming the security code is simple; it only takes a few minutes, and the Lock Boxes are usually lightweight but well made for mobile security. There will be no snooping or subtle break-ins. At San Diego Locksmith, we are determined to keep your private items private, a pro for any business when corporate espionage is a real threat. In our almost 70 locations in San Diego, CA, and over 100 locations in other areas, we are resolved to give you the best Locksmiths services at an affordable price. We offer one of the quickest services on the market and as we are so extensively based, we are never far away from you. We offer ongoing support to existing customers and we are a 24 hours a day, 7 days a week company so we are available whenever you need to depend on us. Should you require a Digital Lock Box, a Digital Lock or just an advanced lock and key mechanism, we are ready and eager to help you. None that a Digital Lock can’t overcome. As previously mentioned, this type of device tends to come with a fail-safe. So if the internet is down, it will continue to function with or without a WiFi connection. 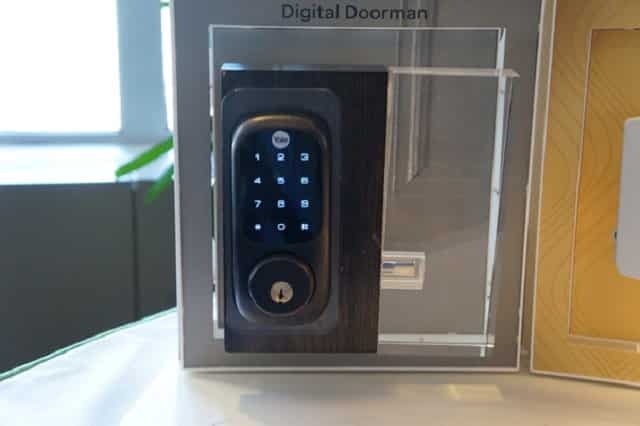 Many types of Digital Lock can be opened with Bluetooth or a traditional back up key, so when there is a lack of high-tech, the low-tech is still king. If an employee’s phone dies, you can open it with your phone from a remote location, or again you can find your key for these kind of emergency situations. What do you do if the power goes out? Fear not, digital locks are typically operated by battery so they will still run during a power failure. No thieves will be allowed in. Just check your emails as you may on occasion receive an email notice from the sensors in your digital lock reminding you when the batteries need replacing. What if a visiting guest doesn’t have WiFi? Do they have Bluetooth? Then they should use the connection to open the lock. Other than this, all you need to know is that the digital lock has about as much security as an online banking system if not more. If you are not keen on the auto-unlock system, you can just disable it. With 7 Day Locksmith you can bring your company into the 21st Century.